The complete music editor for all your audio needs. 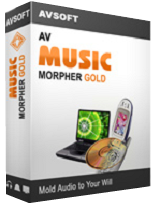 AV Music Morpher GOLD 5.0 was available as a giveaway on April 13, 2016! AV Music Morpher Gold is an ultimate music editor that can provide all the mixing features you will ever need. Along with a well-designed user interface, the program aimes at turning any humble PC into a fully fledged recording studio with easy-to-use yet powerful audio tools. The features include a virtual DJ for simple DJ tasks, a new Converter module for converting your tracks to any audio format, Morpher module for editing and mixing with professional effects, our famous patented Voice Remover and Voice Extractor, a ready-to-use CD Burner, and many other useful tools. How would you improve AV Music Morpher GOLD 5.0? Featured titles by AVSoft Corp.
Audio4fun is also offering a substantial 70% discount, for VCSD today only, so take advantage of this unique opportunity and act now! AV Voice Changer Software Diamond is the one-stop voice mastering tool in voice changing tasks. It works well with many other programs and can help you change your voice in real time, record a unique audio message, dub voices in a video, as well as many other audio activities. Let's surprise everyone with your creativity. Purchase at 70% discount! AV Video Karaoke Maker is a FREE and easy-to-use software that can help you create karaoke videos. You can add the songs and lyrics in a simple text file to the program, then add the video file or images, manually synchronize the words, and lastly, simply export your video. The program also supports various popular input and output file types for making accurate and high quality karaoke videos. Well geez,....It looks like most of the comments are from people having lots of trouble.....I'm running Win7-64....I followed the instructions exactly and my install went perfect!....And contrary to one of the comments below, it IS version 5.0.59. I located DXEffectTester.exe in the folder: "Program Files\AV Music Morpher\Effects\DirectX". Renamed "DXEffectTester.exe" to "dDXEffectTester.exe" (added a "d" to the beginning) so the program wouldn't recognize and run it (can change it back later if necessary). Next time when opening the program it worked! Not sure if I screwed or disabled anything else by doing this, but as far as I can tell everything seems okay. I should also add I'm running Windows 7 (64 bit). A previous GOTD version had the same problem crashing and this is what I did then to get the program to work (for what it's worth): I located DXEffectTester.exe in the folder: "Program Files\AV Music Morpher\Effects\DirectX". Renamed "DXEffectTester.exe" to "dDXEffectTester.exe" (added a "d" to the beginning) so the program wouldn't recognize and run it (can change it back later if necessary). Next time when opening the program it worked! Not sure if I screwed or disabled anything else by doing this, but as far as I can tell everything seems okay. I should also add I'm running Windows 7 (64 bit). Where do I put the ACTIVATION code? Please, carefully follow the instructions in the readme.txt file. This is a full featured license. drvajra, Please, carefully follow the instructions in the readme.txt file. This is a full featured license. Go to Music Morpher Gold and look on top right > ' and click (help). The word register should be written in the drop box. If it doesn't ... then the program have already registered itself and AV Easy DJ that came with it too (some how?) like mine. Restart the program ... and click on (help) again. Then click About AV Music Morpher Gold...and the drop box should have your registered Name, License:# and Build 5.0.59 written in it. Many Thanks .. AVSoft Corp. and GOTD/Team. drvajra, . Go to Music Morpher Gold and look on top right > ' and click (help). The word register should be written in the drop box. If it doesn't ... then the program have already registered itself and AV Easy DJ that came with it too (some how?) like mine. Restart the program ... and click on (help) again. Then click About AV Music Morpher Gold...and the drop box should have your registered Name, License:# and Build 5.0.59 written in it. Then ... enjoy. Many Thanks .. AVSoft Corp. and GOTD/Team. Perhaps that is the problem the Win 10 users are having? Windows XP/ Vista/ 7/ 8 (x32/x64)"
Perhaps that is the problem the Win 10 users are having? "System Requirements: Windows XP/ Vista/ 7/ 8 (x32/x64)"
Installed on Windows 10 64 bit on the D:\Programs X86 folder. Comes up okay, crashed on exit. Uninstalled. Reinstalled. Still crashes on exit. Developer do you have any ideas? Thank you! Will be uninstalled with prejudice! too Bad. . . Installed on Win 10 x64. caannot get it to run nor register. I would have liked to try this, butit appears to be impossible! Upon starting the splash screen pops up for a second then nothing (windows still runs but no AV Music morph can be seen) on screen or Task Manager Will be uninstalled with prejudice! too Bad. . .
is the addon store link for downloading effects and skins going to be available for this GAOTD? for how long? installed fine Xp SP3 and clicked activate full version with the name & serial given on the registration page. wish there was a default skin included with larger menu text and or adjustable text size and options/preferences. never get old. is the addon store link for downloading effects and skins going to be available for this GAOTD? for how long? installed fine Xp SP3 and clicked activate full version with the name & serial given on the registration page. wish there was a default skin included with larger menu text and or adjustable text size and options/preferences. never get old. I have tried several times to install this and the same thing occurs. There is absolutely no indication the program has been install. All I get is the GOTD comment program has been activated and the return to the website. Problem is no amount of searching indicates the program is on the computer. Please mind that all the files are checked for viruses beforehand, so you may rest assured, the installation is 100% clean. Downloaders BEWARE! After going through the complicated process of obtaining your key, you will find that it is useless because it only applies to version 4...not the version 5 which you have installed,and which is only a 10 day trial. I would suggest that GOTD distance itself from this company immediately. Clint, You are mistaken, if you follow the instructions correctly then it registers version 5 just fine. The negative thing about this giveaway is its chronic instability in many areas of its operation, including shutting down triggers a crash... I would be furious if I had paid for this and would demand a complete refund as well as use social media to warn others away from the program no matter how novel parts of it are. Giveaway of the Day, I wish to apologize to GOTD, AV Music Morpher and anyone who may have been negatively influenced by my previous comment. Although I found the registration process to be unduly complicated and misleading, I was too harsh in my judgement. I do not believe that there was any attempt to deceive on the part of AV Music Morpher. After getting the Serial Number, after it is entered and Activate is clicked, I get the message "Please make sure you are connected to the Internet" but I am connected to the Internet; I would not be able to get the Serial number if I were not, so what exactly is the program attempting to do? I have tried with Firewall off and no AntiVirus software running. Why would this step fail? Installed on Windows 7 x64 OK. After install you need to use the web address given and fill out a short form, and a code then appears. Go to the program, and on start up a box appears asking for a code, but keying in the given code produces an error, so instead, PRESS ACTIVATE with nothing entered, it then asks for the details you gave when going online, including the code, and it worked. I found it a but confusing and need to read up more, though it does play the few files I loaded, but the organizer seemed to need me to organize and enter the songs into the appropriate folder, but I may be wrong, I will read the tutorials when I have time. A problem I do have is that each time I close the program I get a windows error saying "encountered an improper argument", and then the windows option to close with or without seeking help online. I have to say, for $99 I would have expected more somehow, so I will not buy it. Installed on Windows 7 x64 OK. After install you need to use the web address given and fill out a short form, and a code then appears. Go to the program, and on start up a box appears asking for a code, but keying in the given code produces an error, so instead, PRESS ACTIVATE with nothing entered, it then asks for the details you gave when going online, including the code, and it worked. I found it a but confusing and need to read up more, though it does play the few files I loaded, but the organizer seemed to need me to organize and enter the songs into the appropriate folder, but I may be wrong, I will read the tutorials when I have time. A problem I do have is that each time I close the program I get a windows error saying "encountered an improper argument", and then the windows option to close with or without seeking help online. I have to say, for $99 I would have expected more somehow, so I will not buy it. Thanks GOTD anyway. Hi, I'm having the same problem: Doesn't seem to install properly as it keeps crashing when trying to launch it. Hi, I'm having the same problem: Doesn't seem to install properly as it keeps crashing when trying to launch it. I'm running Win10 Pro. Doesn't seem to install properly as it keeps hanging and crashing when trying to launch it. I uninstalled it and tried reinstalling but get lots of errors then hangs again on "Creating Main Frame"
After rebooting my computer and trying to run the program again it loaded and let me activate it so maybe if you reboot you computer it will also work for you, if you are one of the ones having problems getting it to run. I get frequent hangs of the program during startup, once it opened a dialogue window to select virtual dub filter... huh? It has accepted the reg info provided but it also crashes remarkably easy... just double clicked in the upper display area called Voice Morphing Panel because the tool tip said "Double-click to open Visualization" So I did and the program crashed! All pretty GUI but no stability... no idea about functionality as it fell at every hurdle so far! A bit of a joke program really. Considering it's absolutely outrageous retail price you'd at least expect external soundcard support! I have the software installed but can't find the set up box to install the activation information. Can you help me with this small problem. I am sure others later today will have the same problem. Reported error on startup and had to close program. Would not run on my win XP machine. Maybe I'll try it on my win 10 laptop and then maybe not. Hopefully this company has actually gotten around to producing products that actually work as hyped. Some years ago (Dec 2009 - Aug 2010 - still have all the email correspondence) I bought everything audio4Fun was selling. Joined their "VIP" club. Nothing actually worked as hyped. Lots of promises about upgrades. I gave up. Absorbed the loss. As I said, that was years ago. Hopefully they have improved since they are still around. I'm simply not willing to give their products another run. Especially since this version is the same number as the version I had problems with back in 2010. Hopefully this company has actually gotten around to producing products that actually work as hyped. Some years ago (Dec 2009 - Aug 2010 - still have all the email correspondence) I bought everything audio4Fun was selling. Joined their "VIP" club. Nothing actually worked as hyped. Lots of promises about upgrades. I gave up. Absorbed the loss. As I said, that was years ago. Hopefully they have improved since they are still around. I'm simply not willing to give their products another run. Especially since this version is the same number as the version I had problems with back in 2010. Rather bizarre start up after installing: asks 'point me' at a config folder - no idea why this is needed manually, and then says something about a video - hullo, this is an audio program - encoder failing. I also noticed some MS redistributable stuff going on during the installation. It also phones home during the activation process. Much more of this monkey business and I'm afraid the installation is for the high jump. It does support many file types. I can load almost anything and play it or convert. slipperedlobster, I tried to play one track that had a minor audiable glitch when played in other players, VLC, Zoom etc but this ones player considered the glitch at 32 seconds in as the end of the full track! The player is not robust enough IMHO. It does not handle unprotected .M4A files either! ok. I actually only tried to load a few filetypes in the editor. Perhaps I was overoptimistic. 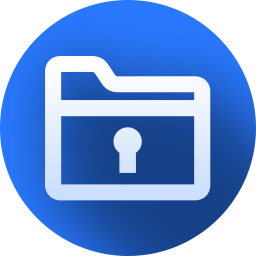 Just saw a big list of filetypes that I could potential load. Did not try everything. TK, ok. I actually only tried to load a few filetypes in the editor. Perhaps I was overoptimistic. Just saw a big list of filetypes that I could potential load. Did not try everything. after install win 7 home edition...i had a message lower right hand screen my windows was no longer a genuine copy. mercifully after uninstalling and a reboot the message went. after install win 7 home edition...i had a message lower right hand screen my windows was no longer a genuine copy. as below windows 7 this is not a genuine copy build 7601 mercifully after uninstalling and a reboot the message went. Yeah! Windows XP Support! Thank you very much! So what you're offering is the Demo Version? Or is it the much better "Plus" Version. . . or something else entirely? We are offering Plus version. The license is life-time but not support regards to reset license when you re-install or change computer. Blowfish, We are offering Plus version. The license is life-time but not support regards to reset license when you re-install or change computer. Where are you offering the lifetime license (without support)? I've been all over your webpage via the link supplied and fail to find anything that remotely resembles the product activation code. Rather, you offer another way to download, as a "Free Trial". I would love to know where the activation code is hidden on your website. Jes, Where are you offering the lifetime license (without support)? I've been all over your webpage via the link supplied and fail to find anything that remotely resembles the product activation code. Rather, you offer another way to download, as a "Free Trial". I would love to know where the activation code is hidden on your website. Please advise. Mark, please read and follow the instructions in the downloaded zips Readme.txt file! This is actually amazing. Although it looks old but it has just every functions I need. Now I can mix some music and burn to a CD for free. TY.